I’ve always loved cars, ever since I was 4 when I was given this little red pedal wonder. A year later, I would trade it in for a junior-sized, two-wheeled bicycle that had a much further range. Anticipating Christmas, I would somehow interject into ANY conversation, the obvious suggestion that certainly a bicycle would be an appropriate gift. “Mom – but all the other kids have a bicycle !” My subtle pleas must have worked because my parents bought me my first bike from Kairuz on the Escolta. It was great. My boundaries expanded from the immediate vicinity of our duplex on Remedios and out into the unknown… down Mabini, Harrison, M.H. del Pilar, Dakota and even a few blocks away to Dewey Boulevard. Wow ! What freedom ! But boys seem to hunger for the inevitable upgrade of transportation. 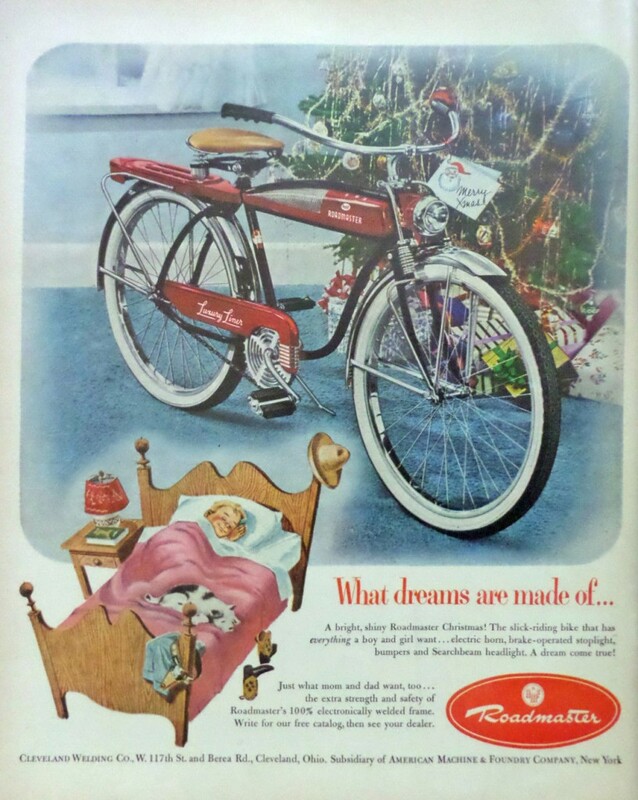 So, strategically waiting a few Christmases later, I used another subtle tactic , “Dad – take a look at this AMF Roadmaster ! Isn’t it cool ? ” Hoping he would get the hint, I handed him a neatly scissored ad from the pages of Boy’s Life, proudly displaying the AMF Roadmaster Luxury Liner. Wow ! What a bike ! This was the Cadillac of two wheels. Well, Dad was a generous man and indeed paid someone in America to buy and ship said bike. An interminable amount of time passed by as I waited each day for some word of the bike’s delivery. Unfortunately his friend, having no concept of bicycle eliteness, ordered the plain version of an AMF bicycle; ergo no battery operated horn, no light, just a stripped frame with balloon tires. I guess I was lucky it came with a bell that went “crngg, crngg”. Argh ! It was about 15 years ago when my wife traveled to Europe with her mother, leaving me ALONE with two weeks of kalokohan (mischievousness). So, I decided to decorate our garage ala a 1950s Drive-In to complement my boy’s toy, a beautifully restored 1961 Corvette. I added an old-styled booth, pinball machine, neon lights and then to top it off, I actually found a replica of that same AMF Roadmaster on eBay. I couldn’t believe it. With an excitement equaling that of a 9 year old, I bought it. Apparently bicycle technology has come a long way since then as it was the worst riding bicycle I had ever ridden plus seeing an old man riding that bike must have looked ridiculous ! So there it sits in the garage today, laughing at me but, hey – it looks good. 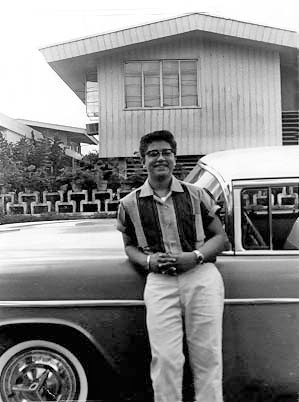 In the Fifties, imported U.S. cars were awfully expensive in Manila. Duty fees went through the roof – practically as much as the value of the car itself. Some of my very lucky friends had scooters. Lambrettas and Vespas, which I thought were by far the “coolest” ! Not having one of my own, I would look forward to the rare trip to Baguio and Burnham Park where one could rent scooters and drive the oval circuit around the park all day. But could I get my own ? This time, Mom wouldn’t listen to any form of urging or hints. I had crossed the line because she thought, and quite rightly, I would kill myself. Having failed that, my thoughts turned to the family car. But first, I would need a driver’s license. Big Problem – I was 13 and you had to be 18 to qualify. Let’s face it, I was a naïve, over-confident and daresay, overindulgent teenager but with the right connections, I acquired the license, apparently maturing 5 years rather quickly. Hmmm….Our family car was a 1955 Chevrolet 4-door sedan, in Regal Turquoise with an Indian Ivory top, barely 3 years old. Oh she was a beauty alright ! But still not quite… “hip” enough ! On one of our trips to the States, I bought a set of lake plugs. These are straight pipes welded to the exhaust manifold that stick out the side of the car behind the front wheel. When you opened them up, it sounded like a dragster ! Adding accouterments of spinners attached to the hubcaps and a Chevy Impala logo stuck to the front hood made it just perfect ! , I was ready to run up to Mandaluyong and participate in impromptu drag races of other 1950s vintage cars with friends like Skip Haven, Bobby Paradies and Juaco Campbell. Along with car racing, I somehow managed to talk the local Yamaha dealer to let me race their bikes. They must have been only 125cc and totally stripped down and modified with a small seat to lighten its load but there were a few of us skittering down the broad avenue, hell bent for leather, the two-cycle engines sounding like a bunch of angry gnats. Few people know that auto racing started at the Sta. Ana racetrack in the mid-1950s where sportscar racer Dodjie Laurel and Bobby Smith frequented, among many others. As a teen, Dodjie was one of my heroes. I think it was around 1960 when we were living in San Lorenzo Village that Dodjie had a place a few blocks from us. Being a neighbor, I would hang around his place and we’d chitchat about cars. He had a beautiful 1957 Corvette that I fell in love with. He wouldn’t cave in to my begging to drive it but he did allow me to drive his racing go-kart all over the San Lorenzo and down Pasong Tamo. I remember it had two engines which pushed you out to 40 mph and on a kart about 6 inches off the ground, it was quite thrilling ! Mind you, I didn’t wear a helmet plus I was an idiot ! Dodgie was a charter member of the Cam Wreckers Club that promoted sportscar and Go-Kart racing in the Philippines. He used the Laurel private compound on Shaw Boulevard for the first Go-Kart races. He was greatly admired and took the sport of racing seriously. 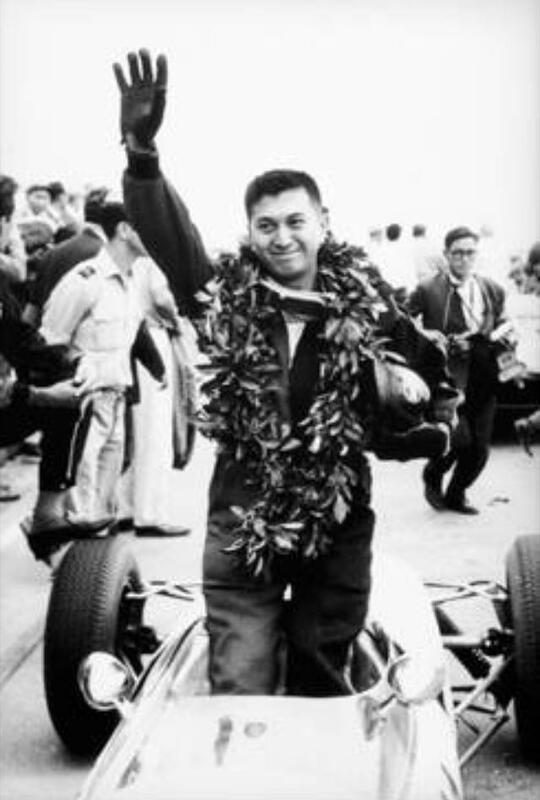 Dodjie was the first two-time champion in the prestigious Macau Grand Prix, winning it consecutively in 1962 and 1963. Sadly, he was also the first fatality in the Macau Grand Prix when he had a horrific crash in the 1967 race. Robert “Bobby” Smith was a 15 year old when he won his first race with the family Ford Panel around the Sta. Ana race track. He became the youngest original member of the Cam Wreckers, the Philippines’ oldest racing club. Sharing racing interests, he and Dodgie soon became fast friends. In the 1970s, Bobby was asked by Formula 2 driver, Joey Bundalian, to oversee his pit crew during circuit races at what is now Ortigas Center. The pair won multiple victories over the superiorly backed Toyota and Ford teams. But perhaps what is least known is that he conceptualized and created the first Filipino car called the Juro in 1974. 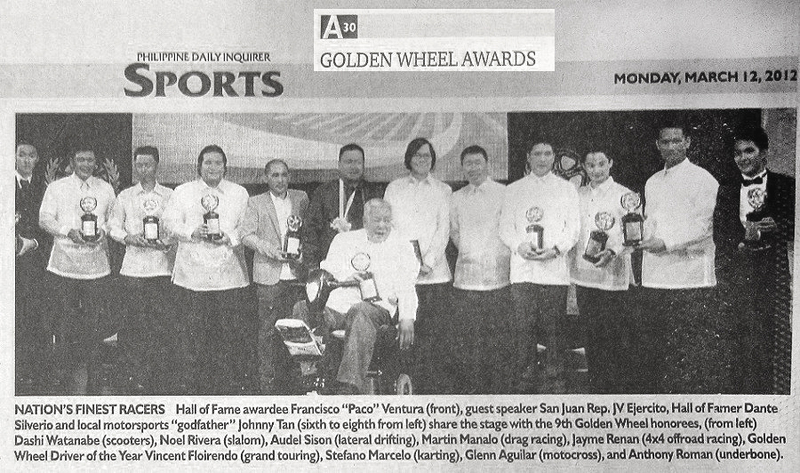 Dodjie Laurel, Bobby Smith, Paco Ventura, Pocholo Ramirez, “Dodo” Ayuyao, Dante Silverio were some of the pioneers of auto racing in the Philippines. The idea of a soapbox derby started out in 1933 when a Dayton, Ohio newspaperman happened to watch a bunch of kids racing their homemade contraptions down a hill. His idea turned into a multi-million dollar international marketing event. It was picked up the Chevrolet Motor Company as a sales promotion and eventually boys from all over the world eagerly joined the sport. Soapbox derby racing was introduced in the Philippines in 1955 at Clark Air Base. The following year, under the sponsorship of the Better Boys Association, the first Philippine national soap box derby was held in Quezon City on Highway 54 (now EDSA) near Camp Murphy. The races were held on an 800-foot course on Quezon Boulevard. The soapbox cars were towed up to a 15 feet elevated ramp and lined up three abreast. The huge crowd would cheer their favorites as the young lads with serious determination, aimed for the finish line. Another old friend, Rafael “Raffy” Prieto, won the championship in 1956. It was popular until the end of the 1960s when interest waned and the races were scrapped. But for a time, the soapbox derby was an exciting goal for many of the boys I ran around with. Soap box cars being pulled up to the top starting position. The Derby was co-sponsored by Goodyear and Northern Motors – Chevrolet. Boys from 11 through 15 were eligible and, to level the playing field, each entrant was given a kit with standard axles, wheels and instructions to build their own generic racer. But this was Manila where anything was possible. I’m pretty sure some ambitious fathers may have hired professional mechanics to modify these “home-made” rigs into Formula 1 race cars. American kids living in JUSMAG entered their car. 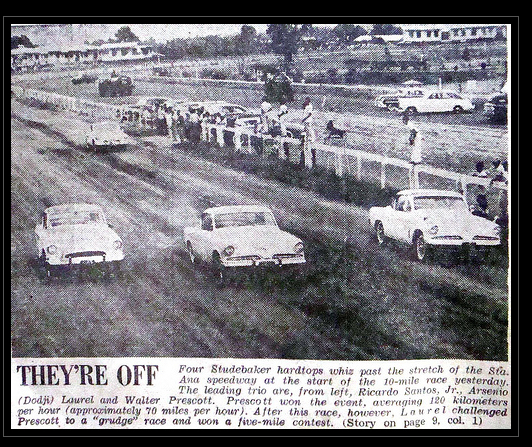 Car racing and touring started getting quite popular after I left in 1962. There was a lot of new construction around Makati and on through Quezon City so any new and virtually empty stretch of road was fare game. 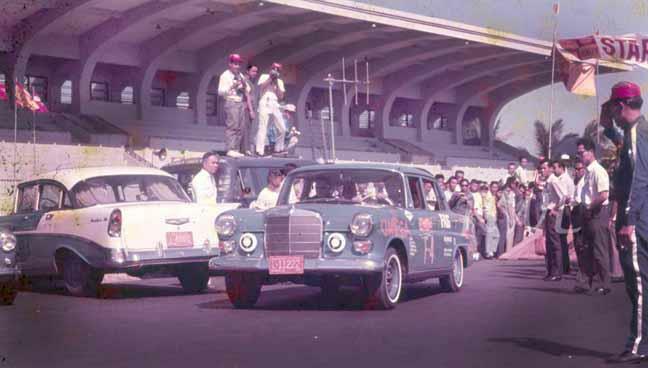 Car clubs like the Manila Sports Car Club and Cam Wreckers were involved with well-attended exhibitions, the Manila Grand Prix, the Shell rallies and races around the city. 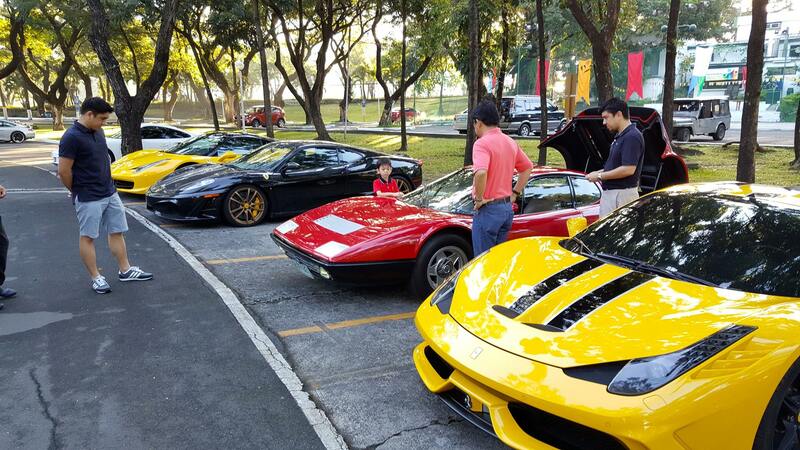 The cars have gotten more sophisticated and expensive but the Filipinos’ love of the need for speed and a beautiful automobile still flows in their veins today. Thanks for coming back to read more of my memories ! Here’s my car, a 1961 Corvette with 265 cu.in. engine, 2 four barrel carbs and 4 speed shift. I only take it out on sunny days and when I do, I feel like a kid again ! 15 Responses to My misspent youth aka I Love Cars ! I had to wait until I was 16 to get my license! But it said I was 21, so there was that 5 year difference too. Another trip to my youth and dreamsnd thanks to your exciting stories. We live just a block away from Quezon Blvd. and watched those soap bpx derbies you wrote about. Thanks. Lou. I was in the same circuit albeit a few years later. Same racing heroes like you mentioned and a few other names that came later like Arthur Tuazon, Yu Beng Tek and the notorious Rolanda Abadilla of the Martial Law era. Your Corvette reminded me of the Checkered Flag Racing Team who would ship their 50’s era Corvettes from Bacolod by sea via Negros Navigation while they fly Philippine Airlines and join weekend drag race competitions here in Manila. They come from rich Spanish sugar barons in Negros who had a lot of money to flaunt and burn. Lou, you did it again. What a great article, bringing back good memories. I remember that race between you and Juaco, boy that was what, 55 years ago? And the soap box races, through my Dad who was working for San Miguel Corp., I was able to participate on one race, it was nice building it the soap box car. Great shot of you in your Pristine 1961 “Vett!” Impressive! I became aware of that AMF (American Machine and Foundry) logo through my first basketball, AMF-Voit. It’s nice to read how companies like this started with particular products later evolving into others. Wikipedia says AMF started with cigarette, baking and stitching machines and later expanded to bicycles, motorbikes, bowling alleys and yes, nuclear reactors, until its decline in the 80s. Thank you for the photos specially for my wifes’ late father (Carlos Lopez sponsored by Lopez Taxi) and uncle (Jesus Emanuel Lopez sponsored by Northern Motors Inc.) during their soap box derby days, it brought wonderful memories to our family. Thanks for bringing back a lot of memories… i remeber uncle bob stewart of channel 7 interrupting the program COMBAT to announce the death of Dodjie Laurel in Macau….. and the picture of the opel manta of Bien Manalo chasing the celica of Pocholo Ramirez was at the 1971 greenhilla grand prix.. notice the meralco building…. just like you i still love cars.. i work of a car dealership… more power and God Bless!!! I have many fond memories of cruising around in that 55 Chevy of yours. If I remember correctly, you often had a heavy foot…and you’re right Lou, those lake plugs were loud, especially when you dropped that heavy foot. This was an awesome blog entry! I wish I saw this sooner. Our family is currently working to revive Soap Box Derby racing in the Philippines. We have secured a venue in Makati for this May and we are actively looking for racers ages 7-17 years old. We have kits ready for interested racers to purchase or lease. 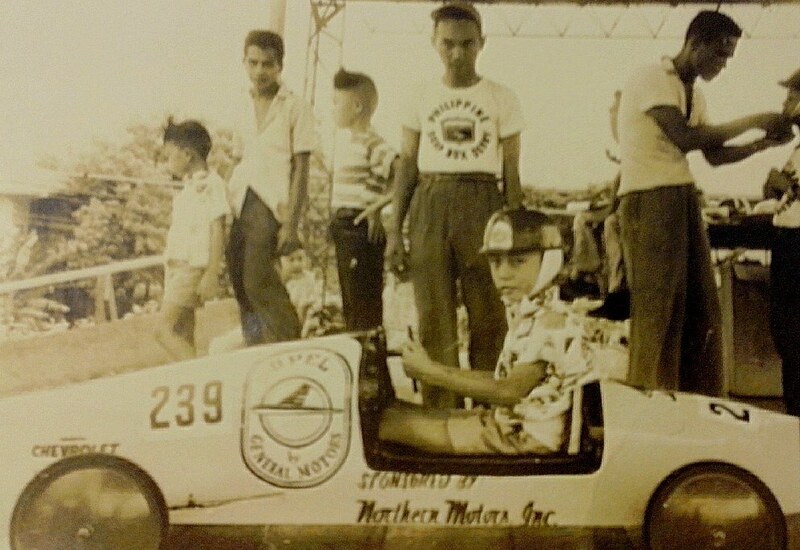 We aim to resume this precious family tradition in the Philippines and we are always happy to find former racers such as yourself who can share beautiful memories about their soap box derby racing days. Please let us know if you have any kids you know who would like to take a shot in representing the Philippines in Akron, OH in July. We haven’t had a representative from the Philippines in a while. Hope to hear from you soon. You can contact us at philippines@soapboxderby.org. 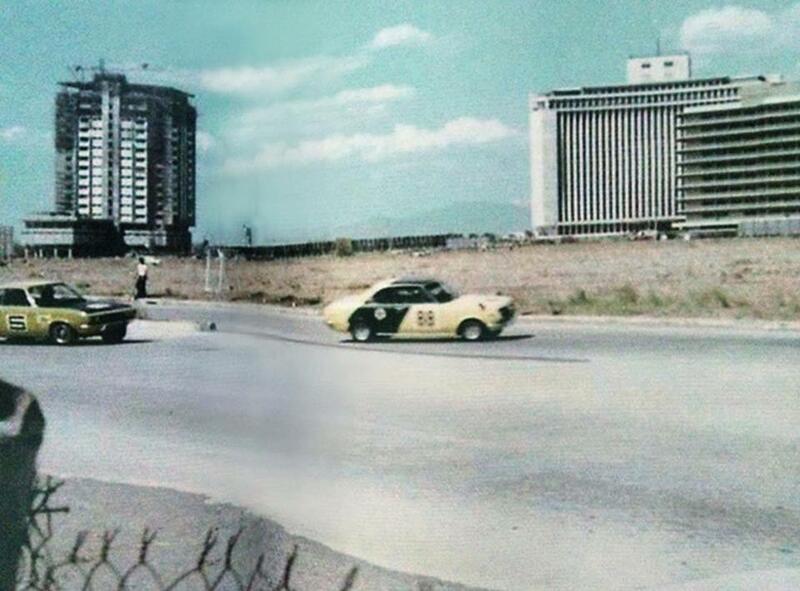 I remember watching a “backward car racing” near the meralco building in ortigas in the 70’s. A lot of cars participated. Many were old trucks or “pick-up”. The starting line was a wide space with so many lanes where cars were roaring loud facing the racing direction backward ready to “jump” to escape from the crowded participants. In the first seconds, most of those at the middle portion started to bump each other making them difficult to move. Others at the back were not able to run because they were blocked. Those cars on the sides were the ones who made it to the race. The winner won a brand new car as the prize. I remember watching the Soap Box Derby races at Quezon Blvd. the first tear i watched it only had two lanes the next year it was expanded to three lanes. I loomed forward to this weekend as it was held close to where we lived. I too remember the early drag races also at Quezon Blvd but cliser to UP. I remember a hot-rodded 1940’s car that wS ran by a doctor. i think his name was Dr. Baines. You relived how most weekends were spent in my youth. My dad was very passionate about motor racing. My siblings and I were fortunate enough to experience the thrill of the various races he competed in. We enjoyed seeing him prepare for his races and fulfillment in his victories. His spirit of competition moved on to 2 other siblings racing go karts. My husband also competed in go-kart races locally and internationally. I enjoyed your blog. Nice car btw. J.P. Heilbron Co, and my racer (built by Don Bosco Makati) was no. 162. The national champion then was Mike Bernacki. 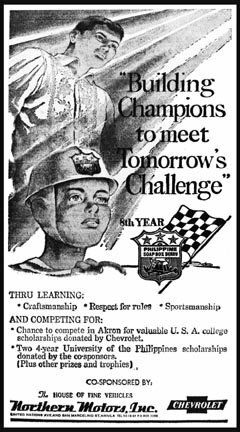 I also remember we had to attend the Soap Box Derby clinic at Northern Motors on San Marcelino St.